Want to redesign your lawyer website which is google’s mobile-friendly site or responsive? 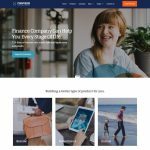 Check this professional lawyer website template. Its precise design for advocates, legal service, legal firms, law firm, legal advisers, legal offices, law practices, civil law, an immigration lawyer, legal help and attorney websites. Practical is simple, clean and classic looking law firm website template. The law firm website template is designed to keep lawyer things in mind. It’s come with all features like about lawyer profile, awards, and honors, law cases, practice and case results, client testimonial, appointment, and location. 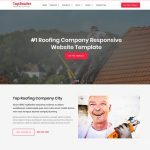 The template is perfect suit to personal injury lawyer who offers a quality legal service like automobile accidents, dog bite accidents, construction accidents, motorcycle accidents, truck accidents, and wrongful death, etc..
Lawyer website template built it for advocates, legal service, legal firms, law firm, legal advisers, legal offices, law practices, civil law, barristers and solicitors, an immigration lawyer, legal help, and attorney websites. 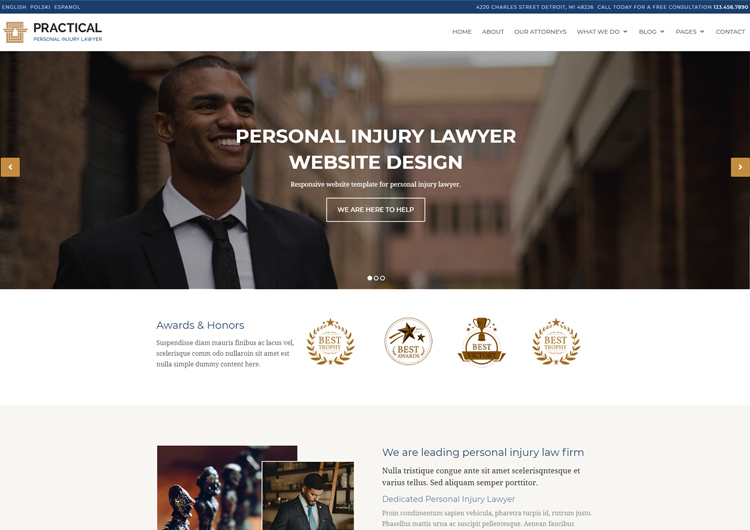 The lawyer website template is fully responsive and mobile-friendly website. Its developed on the most powerful framework bootstrap 4. Lawyer homepage design stunning and creative. It has a full-wide header and responsive slider. The homepage has an award honor section, about us, lawyer profile section, lawyer practice list with a thumbnail image and read more link. Case won results section. Client testimonial and Free Case Consulting. Practice page design is specially designed to present your law firm practice areas. Its has thumbnail with practice title and short copy text. Service single page with sidebar features. The sidebar contains the free consulting form. About us, the page is a great place to showcase about your lawyer profile, who are you and what you do. 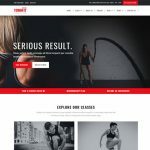 It is simple and visually attractive with sidebar design. Your team is an important part of your client and law firms. The client always trusts on highly skilled and educated lawyer. Attorney team page has simple team thumbnail with attorney name and his awesome photo with hover social media icon. Personal injury lawyer showcases their winning cases with the result of the amount. The template has extra pages like a testimonial, accordion, tabs, 404 error, alerts, contact us. Note: Images are just in demo purpose not included in main download file.